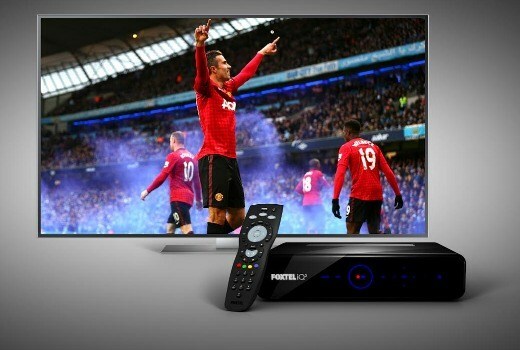 Many homes subscribe to Foxtel but how many homes have the ability to watch Foxtel in multiple rooms without signing up to Foxtel’s multi-room package? Our guess is not many. Jim’s Antennas are able to install additional Foxtel outlets throughout your home so that you don’t have to be in the same room as the box to actually enjoy one of Foxtel’s many programs. And guess what? It’s perfectly legal! If you’ve got your Foxtel box set up in your living room, like most people do, our technicians can distribute the signal from that box to other rooms in your home by running a series of Foxtel approved cables. We can also make it possible to change the channel despite the box being located in another room. The only trade-off is that, unlike free-to-air TV, you can only watch one Foxtel program at any one time, so if the footy is on one TV then it will be on every other TV. To really enjoy the Foxtel experience it is important to ensure crystal clear viewing and our many Jim’s Antennas technicians will make this a reality. No matter where you are in your home we can install a Foxtel outlet in as many rooms as you like with no interference, meaning that you really are able to take full advantage of your Foxtel subscription. Let your viewing requirements fit in with your lifestyle: watch Foxtel from the comfort of your bed, or whilst preparing food in the kitchen. The options are endless. Best of all, you won’t have to pay any extra for your Foxtel subscription and you will get the freedom to watch your favourite programs wherever you are in the home. Call today on 131 546 or fill in our online contact form for a free, no obligation quote.